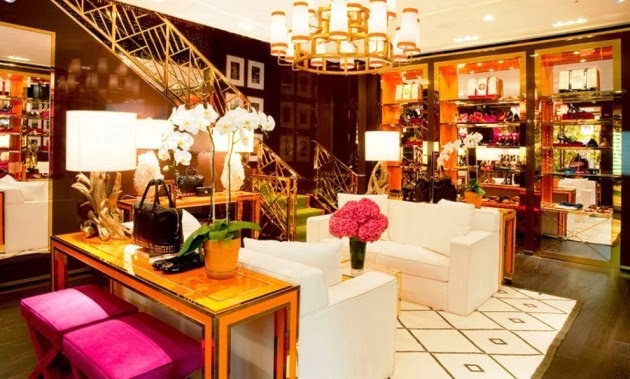 Tory Burch combines my love of Interiors, Fashion and now beauty. I have been a longtime fan of Tory Burch and her accessories and the first time I entered one of her stores I was in awe. The decor is absolute perfection and the clothes, shoes and accessories are equally stunning. This past week my appreciation for Tory grew as I followed along on her instagram and also various other fashion blogs while she debuted her Ready to Wear Fall collection at Fashion Week. Below are just some of my favourite bits of Tory Burch including her new beauty range. You can also shop some of my favourite Tory Burch clothes, accessories and home accents below by clicking on the link. As I mentioned above the Tory Burch stores no matter the location are absolute perfection. The orange lacquered displays accented by lush furniture and incredible lighting and accessories often makes you feel as if you are in an upscale home rather than a boutique. 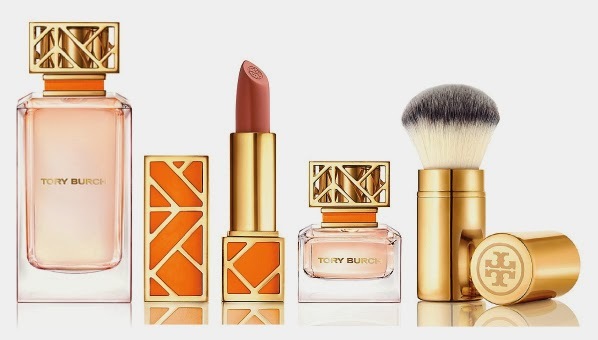 Tory Burch can now add beauty line to her accomplishments. The range was launched on September 26 at the Bloomingdale’s flagship store in Manhattan and the items are distinctly Tory Burch in their packaging. The beautiful gold fretwork accented by orange is reminiscent of her stores and timeless aesthetic. These products are sure to be the beginning of a new beauty trend. 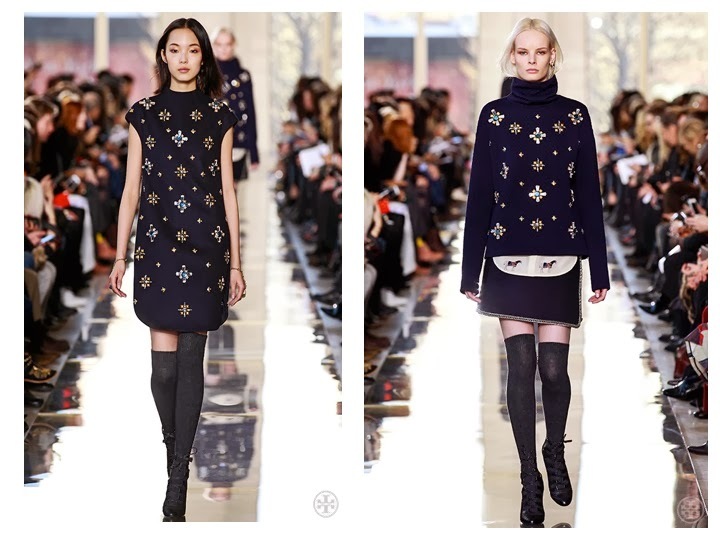 This past week Tory Burch showed her ready to wear Fall 2014 collection at fashion week which was inspired by armor once collected by her parents. She interpreted the inspiration with subtlety and her clothing had sleek silhouettes, pretty metallic textures, baroque touches and tapestry and Asian patterns at the end of the lineup adding variety. See more of her collection on Womens Wear Daily here. SHOP some of my favourite Tory Burch including clothing, accessories and items from her luxe home collection below.